Since the early 80s, snapbacks have been a must have item for those who wear streetwear. This practical baseball cap styled hat started out life as a bit of a fashion accessory when the hip-hop crowd first popularised them, but, for some reason, they just never went out of style. They look great, and can be worn with practically anything.Yet this practical style of cap also keeps the wind, rain and sun off. Provided you choose one that fits properly, they do not flatten your hair. Every year, most streetwear designers have at least some of these iconic caps in their lookbook. That is certainly the case for 2016, but it is the HUF snapback collection, which stands out. This year, they have gone all out and come up with a range of shapes and shades that should appeal to everyone. The first thing you notice about the collection is how colourful it is. The range still includes plenty of the black or white caps that were so popular in 2015, but the HUF designers have gone crazy for colour. There is everything from beige to purple in this year’s collection. The colours are mostly pastel tones, but there is no doubt that 2016 streetwear is brighter than last year’s collection. To mix things up even more HUF have included a wider range of logo styles. 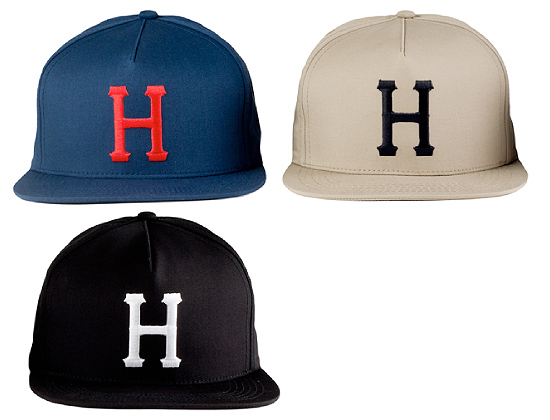 For example, the Upstate collection features a small classic HUF logo in a label format. Very understated and perfect for those who lean towards a more sophisticated style. At the other end of the spectrum the MFG Station, Worldwide and Shortstop 6 collections feature big, bold, embroidered logos. These caps are great for those who like to make a statement with their clothes. If you have not yet bought any snapbacks in 2016, we highly recommend that you take a look at the HUF range first.